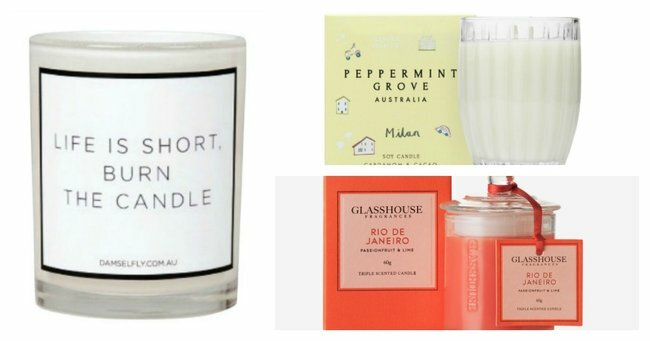 The 10 best winter candles 2016 to add to your wish list. The 10 delicious candles we're lighting right now. Once upon a time, candles were the official ‘last resort’ present; the ones you bought when you couldn’t think of literally anything else, or when you didn’t know the recipient particularly well. These days, candles occupy prime position on birthday wish lists, which is great news all ’round. You can’t walk into a store without finding yourself face-to-face with a stand full of candles that smell good enough to eat, packaged in beautifully-decorated jars and vessels. The only problem is, the wealth of choice makes candle shopping a little overwhelming. I’m in love with this candle. It’s got a delicious undertone of butterscotch (which pleases my sweet tooth) and is precisely the kind of warming, comforting aroma you yearn for on winter nights. You don’t even need to light it — sometimes I’ll just leave the lid off and let the scent filter out. My colleague Briony is also a fan, saying: "It reminds me of walking into a beautiful store and browsing items that I will never actually buy. So burning it at home is a way to try and replicate that and pretend I am chic." "I would buy this for the packaging alone," says Health, Beauty and Style editor Edwina. "I often hold off burning my candles because they, erm, look pretty, so it&apos;s a nice reminder. Doesn&apos;t hurt that they&apos;re hand poured in Australia with non-toxic soy based wax and smell so fresh and so clean (you summed it up well, OutKast)." Glasshouse candles are a big hit in the MM office. "Montego Bay is life. It&apos;s fresh but not laundry detergent, flavoursome but not a packet of Cool Ranch Doritos, and decadent but not a sprig of vanilla up your nose," Ally explains. That&apos;s not the only popular option. "Rio de Janeiro is like going on a holiday in your lounge room. Plus it’s red, so it brings some colour to my otherwise beige focused apartment," says Amy. This Sydney-based company hand-pours its candles into vintage and couture glasses — you can choose which one you like — so they&apos;ll look divine on your bedside table. "They come in the prettiest jar and smell amazing," says Valentina. Sold. This one&apos;s been getting a run in my house lately. It&apos;s a lovely combination of musky, floral and fruity tones, and reminds me of the kind of perfume you&apos;d wear to a fancy dinner. Plus, it&apos;s an Aussie brand, and who doesn&apos;t love supporting local talent? "This is a super fresh and clean scent, especially if you&apos;re smell sensitive (some candles give me headaches). I gave it to someone as a gift and they loved it," Mary-Anne says. "This is one of my favourite winter candles that instantly warms you up... as well as makes your stomach rumble," says Brittany. "It&apos;s like the wafting scent of freshly baked apple crumple which is both a blessing and a curse because I feel homely and relaxed but also hungry. Mmmm...."
"Nope, this isn&apos;t some industrial/artsy/chic $250 candle, it&apos;s nine bucks from Kmart. And it helps budget-savvy people like myself make my home look industrial/artsy/chic with minimal effort (and expense)," says Edwina. "It&apos;s heaven in a jar. It reminds me of holidays by the beach," says Elissa. "Smells like summer and the beach. Even when it&apos;s not lit, it makes your entire room smell incredible. They are massive, so last ages. They also come in glass so look beautiful," Jessie says. What&apos;s your favourite candle right now?